Similarly to SFLIHGT data model used to ABAP to demonstrate ABAP features in SAP NetWeaver ABAP stack based systems there is a data model in other SAP systems. Over the years another data model grown up. It is called Enterprise Procurement Model (EPM). This demo data model has broader scope and it aims to demonstrate capabilities not only ABAP but whole NetWeaver Stack. Once you run this tcode. 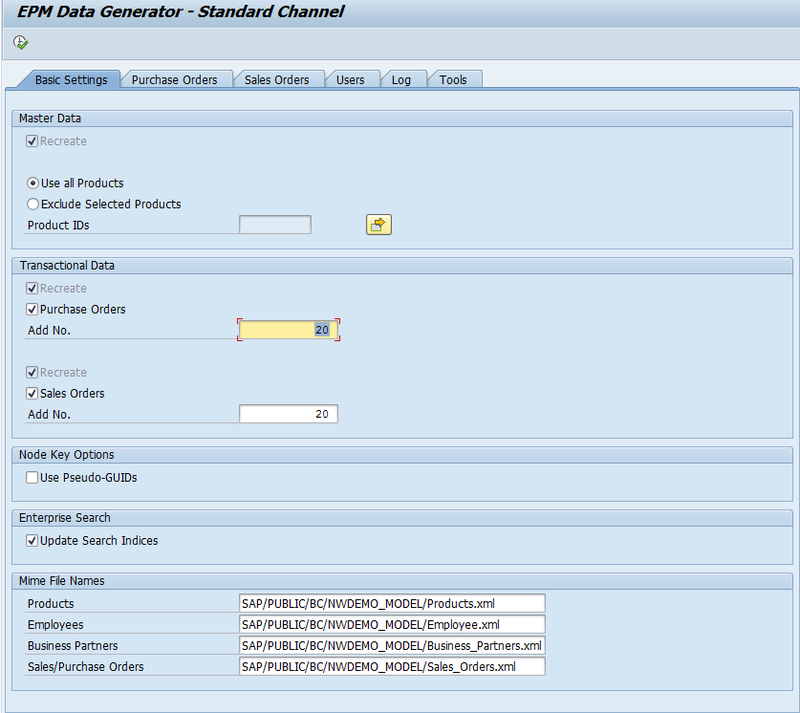 You get tables like “SNWD_SO - EPM: Sales Order Header Table” populated with the data. There is an info message announcing that (EPM Data Generator: 40 Transactional Data records created, Message no. SEPM_DG037) after successful run of the tcode. I'm glad that my post helped you! you did save me. TNKS a lot man !! Glad to hear that Damian!